Improve Your Marriage & Have Fun Doing It! Remember when you first met your spouse? The excitement of new love? The longing to see them as often as you could? The endless conversations as you got to know one another? Remember the nervousness when you decided to disclose some new personal information to them? And the excitement of experiencing acceptance anyway? 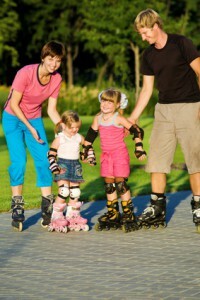 How about the laughter and the thrill of trying something new just because your spouse-to-be enjoyed it? These all represent moments of self-expansion, growth, and learning. They drew you and your spouse together. These moments were the building blocks of intimacy and love. Jump forward several years, perhaps even to today. Are things getting routine? Feeling kind of bored? Feel like your marriage is in a rut? Maybe you even feel a little dissatisfied and wonder how to “liven things up” a bit. Do you miss the “spark,” the burning ember of love that seems to have slowly cooled and grown…comfortable? Then I have good news! Research reported (in 2000) in the Journal of Personality and Social Psychology offers a great solution. Turn back to your spouse and do the things you did when you first fell in love. Literally, grab your spouse and do something you both enjoyed but haven’t done since you first met. Or, better yet, do something completely new, something you’ve never done before, not even when you were dating. Play a new game, cook a new meal, try a new activity, take a trip to a new place. (If you can’t think of anything else, try the activity used in the study. Tie yourself to your spouse on one side by the wrist and ankle before crossing a gymnasium floor that includes at least one obstacle. It doesn’t sound exciting…so maybe try taking a hike or flying a kite together.) Whatever activity you choose, make sure it is a novel activity, a new activity for you as a couple. When you engage in these novel activities, you and your spouse will learn new things. You will grow and experience an expanding sense of who you are as a couple. Even better, research suggests that when you engage in these novel, fun, and exciting activities together, you will feel better about your relationship. You will grow more supportive and accepting of one another. In other words, your marriage will grow stronger and more intimate. Now isn’t that worth a little bit of fun along the way? 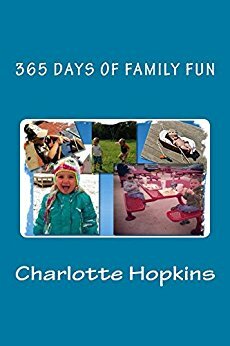 I am always on the lookout for new “family fun ideas.” You can imagine, then, why I am so pleasantly surprised to discover 365 Days of Family Fun by Charlotte Hopkins. This gem of a book suggests a fun family activity for every day of the year…and tells you exactly how to make it happen. 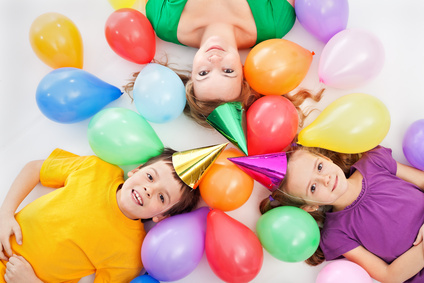 The first activity (January 1) involves the whole family in making an “Adventure Box” to fill up with memorabilia of the year’s fun (ticket stubs, menus, pictures, etc.). Then, as part of the final family fun day on December 31 you open the box and enjoy recalling the stories of fun you had throughout the year…and you’ll have more fun doing it! It’s true. From picnics to snowmen to puzzles to recipes you will have fun. Along the way you will learn fun facts, celebrate interesting days, and read great stories. You might just write a few of your own. All in all, this is a wonderful resource for any family seeking to celebrate and have fun together. Check it out on Amazon and start having some family fun today. Beach Balls, Chopsticks, & Ping Pong Balls…Oh My!! What do beach balls, chopsticks, and ping pong balls have in common? They teach us an important lesson about marriage. What? Really? Yes indeed. It’s true. They teach us to bring laughter into our marriages. When spouses laugh together they report feeling more supported and cared for by one another (Couples Who Do This Together are Happier). They also report greater relationship satisfaction and connection. 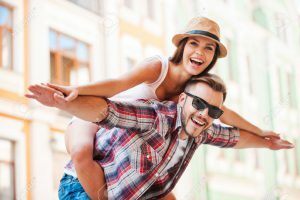 (The Effect of Reminiscing about Laughter on Relationship Satisfaction) In addition, a review of 230 baseball players revealed genuine smiles could lead to a longer life! (Grinning for a Longer Life) Wouldn’t that be a wonderful gift to give your spouse—a longer life for both of you? 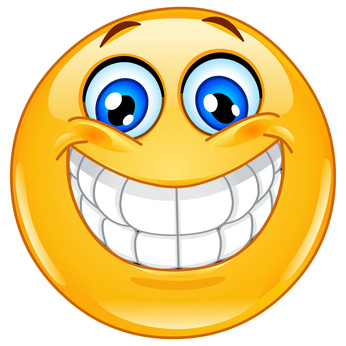 Smiling and laughter can even reduce stress (Smile It’s Good for Your Heart & LOL-On Safari for the Elusive Smile), making it easier to recover from moments of conflict. or wisely use chopsticks like the Chinese, bring a little laughter into your marriage. You won’t regret it! PS-If you missed our couple’s retreat P.L.A.Y. Rx you missed learning more about the joys of play, laughter, adventure, yearning, and rest for your marriage. But, here are some pictures of the times we shared. Hope to see you next year. A virus has infected our marriages. Perhaps you have suffered with this virus. It capitalizes on the weakened immunity created by our busy lifestyles and our limited rest. Work, raising children, maintaining a home, and constant community involvement takes a toll on our physical and emotional health. This virus of busy-ness attacks our relationships, including our marriages, while we are in a weakened state. It creates a distance and disconnection between our spouses and us. Our home life begins to deteriorate as each spouse runs in a separate direction. Smiles disappear. Joy drifts from our interactions. The virus leaves us longing for a remedy for “we-don’t-even-know-what” because we have no energy or time to think. At the Camp Christian Couples’ Retreat (coming up on February 9-11, 2018) we will offer a prescription to treat this virus…P.L.A.Y. That’s right. PLAY offers an oasis in the desert of busyness, an effective treatment for the virus that has attacked our marriages and our homes. PLAY will bring the smiles back to our faces and the joy back into our interactions. PLAY will restore energy and revitalize intimacy. And why not? After all, we are made in the image of a God who loves PLAY, Laughter, Adventure, and Yearning. It’s the perfect Rest. Join us at the Couples’ Retreat February 9-11, 2018, as we partake of this prescription together and PLAY. Hope to see you there! Our communities and our families are being devastated by addiction. Drug use is destroying –families and we need to do everything we can to stop its contagion. I know this may sound simplistic…and in a way, it is; but I have an idea to help stem the rise of drug addiction. Now, I know that what I am about to suggest will not remedy the problem. It is not a magic bullet. It will only be a small part of a much broader solution. But, what I am about to suggest can play a role in stemming the scourge of drug addiction…and you can begin right in your own home with your own family. What is it? Give your family mega-doses of social laughter. Laugh as a family. Laugh with other families. Giggle, chuckle, or let out a “belly busting” laugh. Laugh Out Loud. Research has found that laughing together increases the release of endorphins and other peptides in the brain, especially areas involved in arousal and emotions. 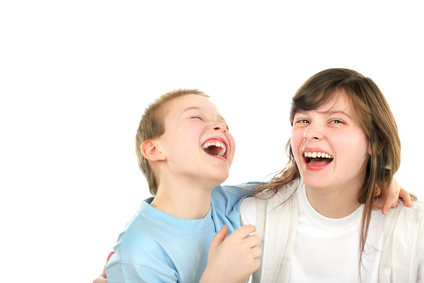 Because laughter is contagious, its joy can spread through your family like…well, laughter! As it spreads, endorphins are released. 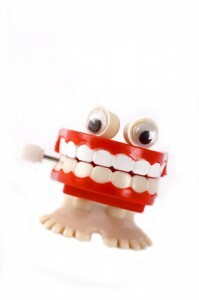 Everyone experiences the pleasure and calming effect of this laughter-induced-endorphin-release. This promotes feelings of togetherness, enhancing bonding and connection among those laughing. If we can teach our families to enjoy the natural endorphins of laughing with your family (LOL), why would they want something else? And, who would want to lose the enhanced connection with family that comes through laughter. So, start laughing together early. Laugh often. Laugh hard. Laugh out loud. Having fun with your family does not have to be expensive this summer. Try some of these ideas. Go get ice cream cones together. Have a picnic at a local park…or in your back yard. Enjoy an evening of stargazing. Tell stories about various constellations. Enjoy a free concert at a local venue. Pull out the sprinkler and put on your bathing suits for a day of water fun. Add squirt guns for even more fun. Go to a baseball game. 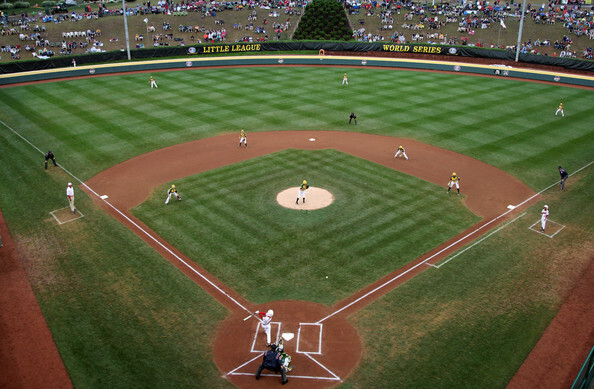 If you have a minor league team nearby, enjoy watching their game. 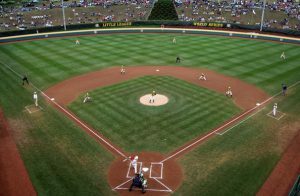 Play some yard games like Frisbee, Corn Hole, or catch. Enjoy a game of putt-putt. Make a home-made bird feeder out of a milk carton, fill it up with bird seed and do some bird watching. Go for a hike and start a leaf collection. Pick some wildflowers and arrange a beautiful bouquet for a shut-in. Have a campfire in the back yard and tell stories. A new year has begun. I’m glad. I am tired of the hassle, the bureaucracy, the constant barrage of sensational seeking in the news. I want to shed the heaviness of stress and feel the lightness of joy. So, I’ve decided to start an epidemic in my family. That’s right. I want to become ground zero for sending cheerfulness viral this year, starting right here in my own home with my own family. Perhaps you will join this epidemic to spread cheer and joy in your family and, from there, into the world around us. Here are some ways I plan to spread cheer this year. Practice generosity. Our families truly are blessed. Unfortunately, those blessings sometimes enslave us and we begin to hoard the blessings. This year I will “break out of the hoard” and share…generously…as abundantly as possible. There is joy in giving, great joy. In fact, an ancient writer tells us that Jesus even said, “It is more blessed to give than receive.” Your act of generosity may even get paid forward in another act of generosity, creating a rippling effect from ground zero in the epidemic of cheerfulness (read about a way to Pay It Forward here). I’m starting this year…ground zero for an epidemic of cheerfulness and joy. I’m making it a point to spread cheer in my family and beyond. The world MAY BE a better place for it; but my family and I WILL BE a happier people because of it. Will you make your family a happier people?